Sun Oct 17, 2010 7:00am EDT (Reuters) - Pope Benedict presided over a ceremony making six new saints of the Roman Catholic Church, including Mary MacKillop, Australia's first saint. When she was excommunicated her sisters were forbidden to speak to her and many of them were sent to other religious congregations. The Jesuit priests knew that an injustice had been done and continued to give her the sacraments. A Jewish businessman provided a house for her and the sisters who had been forced to leave. During this time Sister Mary would not allow an unkind word said about the Bishop and continued to pray for him. 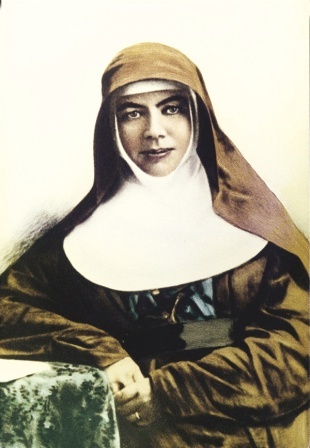 Sources: Sisters of St Joseph website, Official Mary MacKillop website, America magazine.